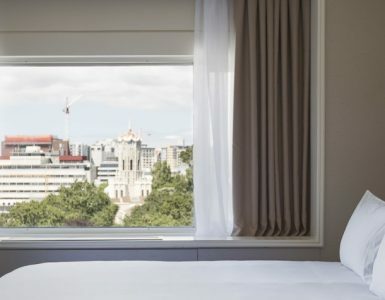 As sustainability plays a major role in everyone’s day to day routines worldwide, Pullman Auckland Team unites to implement several environmentally friendly actions around the hotel. All “Green Measures” focus mainly on saving water, decreasing energy consumption and diminishing waste by recycling while still maintaining 5 star services for our Guests. To make the best use of all elements consumed in the hotel, our Chef and his Team have created a scrumptious home-made jam, cooked with orange peels used for the freshly squeezed orange juice at breakfast every morning. This initiative revealed that one day’s peels, produces six months worth of jam. Tapestry Restaurant and Omni Bar pride themselves by offering the utmost quality of Food and Beverages. To enhance this experience, the hotel has grown an in-house herb garden which offers high-quality produce used in our daily cuisine and cocktails in the bar. The Pullman Auckland recognizes the importance of health and well-being within our community and will continue to develop its offerings during 2017. For more information on our sustainability program, please visit Planet 21 Homepage.